How do you have a secluded luxury experience without finding yourself walled in by other tourists? If you are interested in seeing the most beautiful and remote parts of our little blue planet, luxury glamping gives you the best of both worlds… A lush, 5 star experience coupled with a real sense of space and peace and a chance to see a location at its stunning natural best. If that sounds like the adventure for you, here are three breath-taking experiences you should add to your bucket list. The Ranch at Rock Creek is a working cattle ranch set on 10 square miles of stunning countryside, bordering the Deer Park National Park. 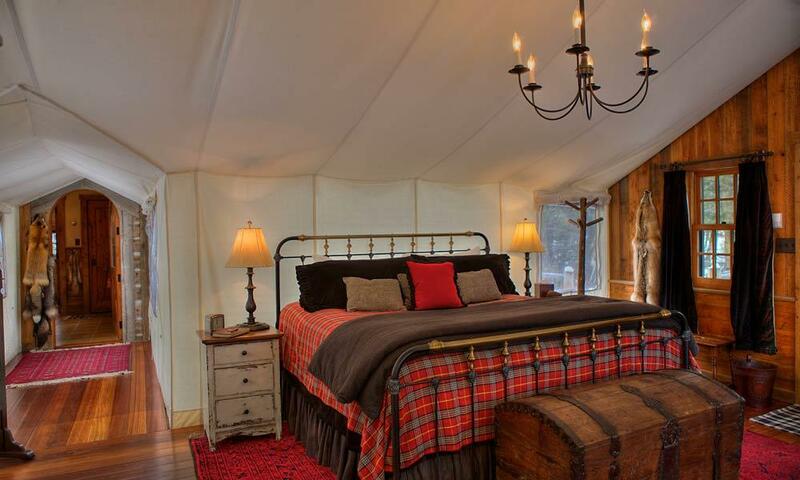 Think lush mountains, rivers, meadows ridges and creeks with just a few luxury tents, cabins and lodges each placed in their own uniquely beautiful setting. 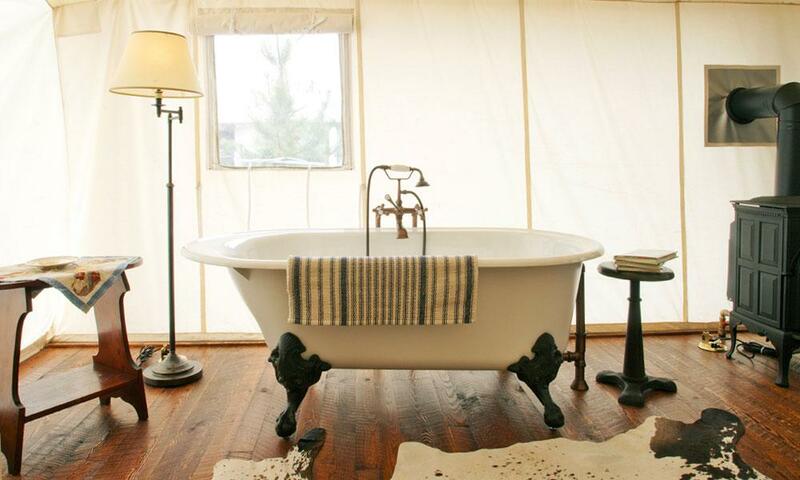 This is luxury glamping at its best with breath taking views, internal fireplaces, external hot tubs and a huge claw foot bath tub in your spacious bedroom. 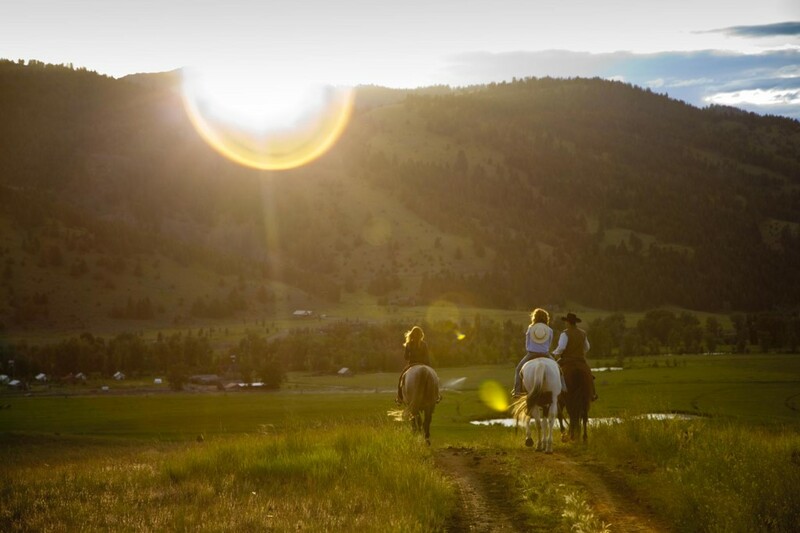 Some of the most delicious highlights include, lush spa treatments, custom helicopter adventures to Glacial National Park or Yellowstone National Park, horse riding, mountain biking, clay shooting, snowmobiles and skiing. They also have yoga instructors on site, and suggest asking your teacher to take you up into the mountains for your private yoga class with breath-taking views! 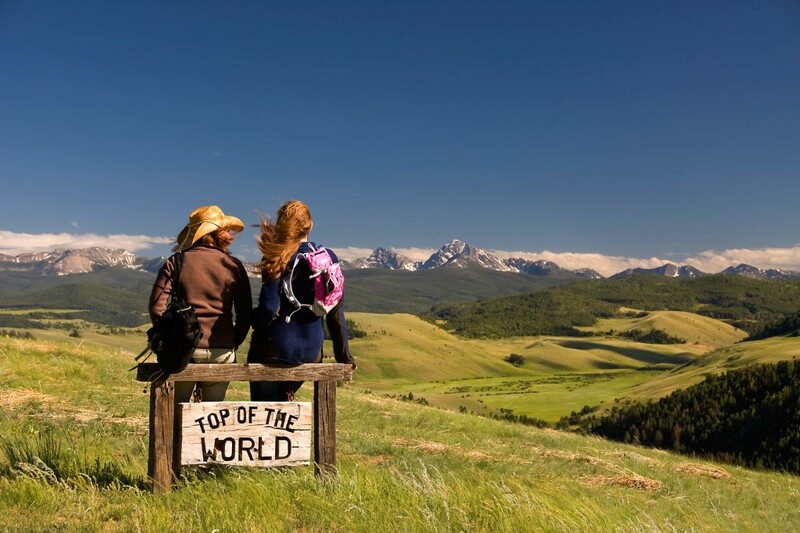 Of course this is just the tip of the iceberg and the beauty of this place is that you can choose days of ultimate relaxation and pampering or days of action and mountain adventure. The Severin Safari Camp is hidden in the remote Kitani Wildlife area of Tsavo West National Park overlooking Mount Kilimanjaro. Tsavo West and East National Park is the world’s 3rd largest national park and is rich wildlife – think herds of elephants, giraffes, zebras and impalas passing by your camp! With over 22,000 square kilometres there is much to explore. Take a safari game drive around the park and see the incredible natural beautiful of the springs, lookouts, rhino sanctuary, craters and lava caves – as well of course as the incredible local wildlife. 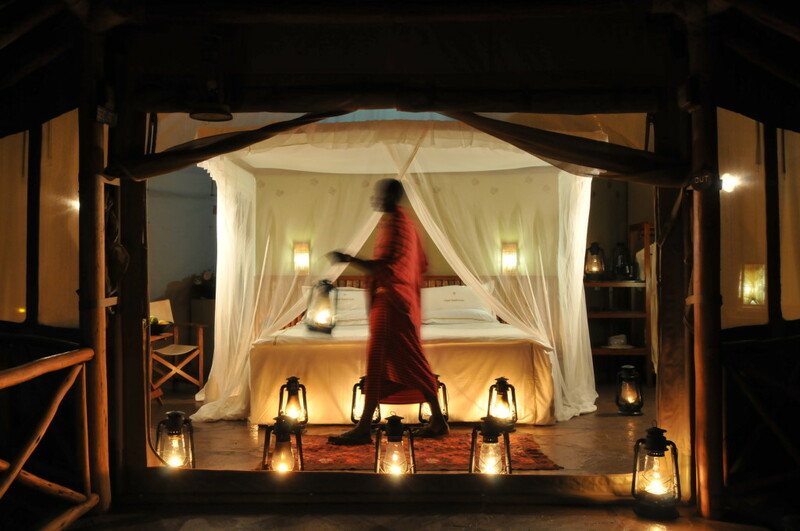 And don’t miss a night-time safari with spotlights and a tracker and see how active the animals get after sunset. 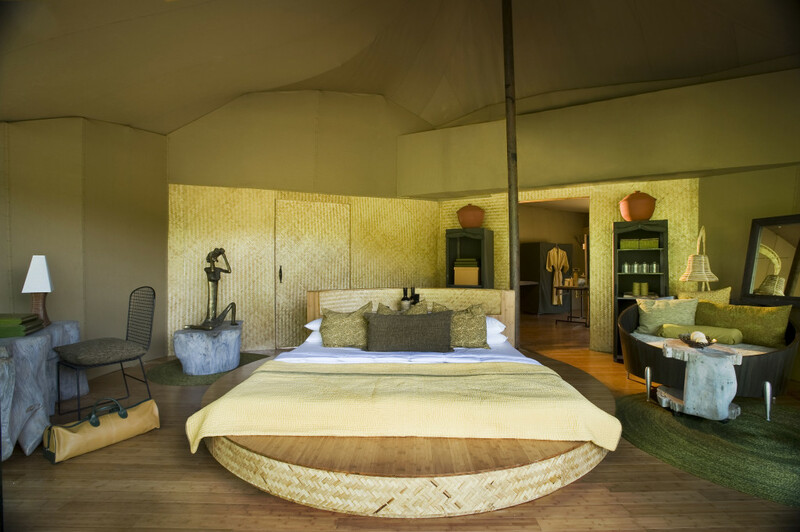 Despite the remoteness of the location the African style eco camp offers a fitness tent, lush cocktails by the pool and a full service spa. It is ecologically designed to co-exist with the environment and it is all unfenced, allowing wildlife to pass on their way to the floodlit waterholes. Masai warriors guard the campground 24 hours a day and walk you between tents after dark. Phew! Banjar Tola, is situated in Kanha National Park, one of India’s largest parks, covering nearly 2000km’s of pristine Indian wilderness. Kanha boasts a spectacular landscape of forests, meadows and is a tiger reserve that for 30 years has been protecting tigers and their fragile ecosystems. 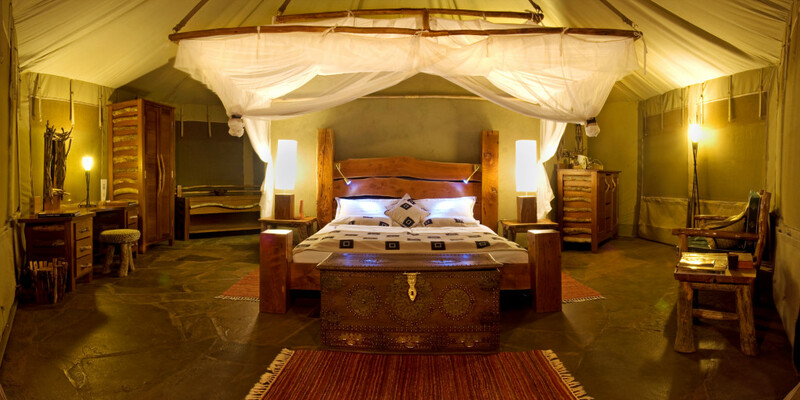 The accommodation is made up of two intimate camps with only 9 tents in each – each luxury tent is perched on the river bank with beautiful wooden decks and gorgeous raised views of the water. 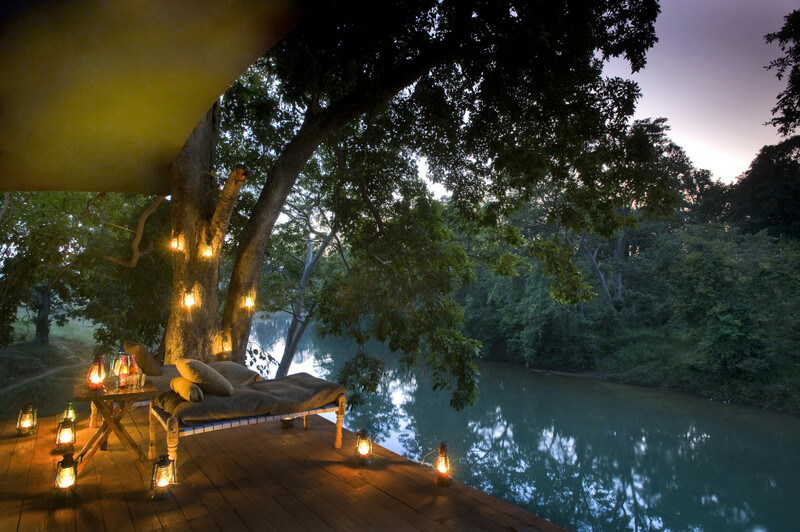 Depending on your mood dine in the jungle, on the pool deck or on your private river deck. Each day you can choose to relax and enjoy the lush jungle from your room or in the pool, or get more adventurous and make the most of the twice-daily safari options. From the comfort of specially designed vehicles their experienced naturalists will ensure you see the diverse wildlife including tigers, sloth bears, hyenas, jungle cats, pythons, monkeys, leopards and some of the 300 tropical bird species that inhabit the area. Please note: We were paid to write this post, which helps us keep doing what we do. Thank you for reading! If you visit one of these incredible locations before we do, please let us know.